Despite his parents’ concerns, Ivanhoe Swift leaves home at the age of six to see the world for himself. And so begins a dreamlike journey of self-discovery and gaining independence. Ivanhoe’s experiences away from home vary: from the friendly and adventurous Maisie Jane to the ominous dark of a forest, to the hostile faces of strangers in other towns. A Yi’s expressive watercolours depict Ivanhoe’s travels as a dreamscape full of colour, offering young imaginations the opportunity to fill in the details. At the same time, we still see how concrete realities shape Ivanhoe’s view of the world: a beautiful moment in the book is Ivanhoe’s relief at discovering the ocean. Despite his newfound freedom, he is overwhelmed by a feeling of loneliness—after all, he is only six. 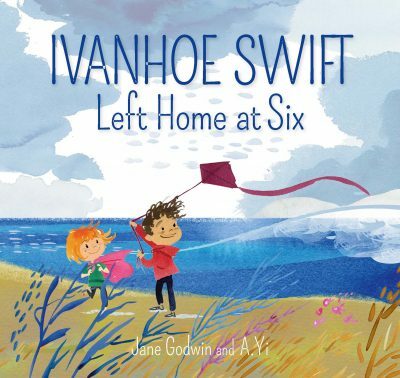 Readers who have come to expect the more ‘everyday’ stories of Jane Godwin’s previous titles will be surprised to find Ivanhoe Swift has an adventurous spirit—one that many children will either recognise or aspire to. Together, Godwin and Yi beautifully articulate the bittersweet feeling that parents face, knowing that while their children need to explore, not all of the discoveries are going to be pleasant. Budding explorers aged five years and older will enjoy poring over this story with their loved ones at bedtime.